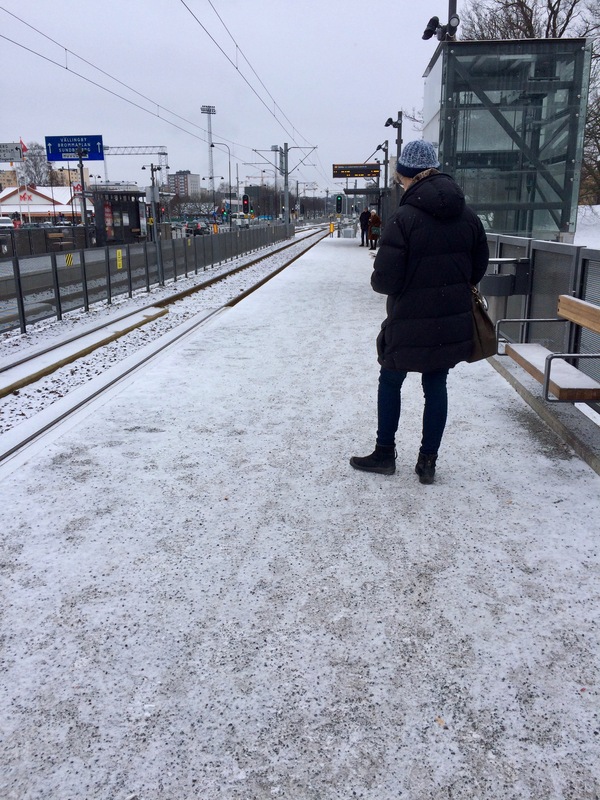 Stockholm had temperatures of about -9°C the other day with quite a chill factor because of an icy wind. It was chilly but relatively mild for Stockholm, which can get to about -30°C for a day or two in winter despite being quite far from the Arctic Circle. It was really cold on the train platform because of high winds. And even though it is quite mild, you would probably live only a few minutes if you fell into this water. Hypothermia sets in really quickly in these temperatures. Small boats are taken out of the water in winter because this type of ice can slice right through their hulls.